Once there was a Red Laker named Wootihu. Now, this was not his real name, nor was it his Indian name. It was his nickname. Most Red Lakers had nicknames. You might hear names like “Bunny”, ”Ishky”, “Crick”, or “Boogins” when you were talking to your friends in school. You see, a bunch of Barred Owls lived around Wootihu and he would hear them calling in the evening, at night and in the early morning. He got to know their calls pretty well, and even was able to perfect his call so that they came and “talked” to him. One night, a strange Barred Owl called outside his window. But instead of the “Woo Woo Woo, Woo Woo Wa Hoo” he expected, what he heard was: “Woo woo woo, Woo Ti Hoo“. “Woo Ti Hoo? !” What kind of a call was that? It was either a young Barred Owl just learning to call or it was an owl who was developmentally disabled. While the other Barred Owls didn’t seem to notice, this young man was intrigued. He was so engrossed in this call that he couldn’t get it out of his head, so he had to tell all of his friends at school the next few days. Having heard many an Owl tale before, his friends could only groan, or roll their eyes, or shake their heads when he related this. This nickname stuck when one of his friends said “Okay Wootihu, we get it”. This produced a few chuckles, because of which, it was too late for Wootihu. Sometimes his friends called him “Wooti”, and sometimes they just said “Who?” in jest when his name was called for attendance in class for first period. Now lately, Wootihu had been thinking a lot about the Bagwagiwininiwug or the Little People. You see, he didn’t know much about them except that he had heard they were generally a mischievous and benevolent people. However, he wanted to know more, although he couldn’t really find anyone who knew a great deal about them. So he decided to ask Nanabozhu. I was in one of those moods again this morning where words from a different language go through my head just because I like the way they sound. Oops! Correction! I originally Titled this “See you later”, but in order for that to be accurate, one has to add “nă·gŭj” which means: later. In the old days, the Anishinabeg as a people where virtuous. Parents would not allow their young daughter to meet with a young man unattended. So it was that he would use a courting flute to woo her (and them). At night, just after the sun went down, the young man would play his flute while hidden in the woods near their lodge. If she liked what he played, she would invite him in for further discussion. If she didn’t like what he played, then she would throw stones at him while making disparaging comments until he stole away in the night. Mă·nō´mĭn was the name of the flute maker’s beautiful daughter. Her name meant “wild rice”. Her parents named her that for many reasons: one, because they liked the way it sounded; two, just as wild rice was essential for the survival of the people, they knew they could not live happily without their precious daughter, and three, because her auntie, who was a powerful mĭdewiwĭn, prophesied at her birth that she would have a wild (as in free and unfettered) temperament. Now being the flute makers daughter, and he having a very young son not yet old enough to learn the tricks of the trade, happily taught Mănōmĭn all of his flute making knowledge. This gave her quite the advantage over her friends. Not that she would take advantage of them, rather, that she knew things that would help her to make a better choice concerning her suitors. For instance, she knew the four most important things about courting flutes and their owners: how the flute itself reflected the characteristics of it’s owner, who all the young men in the village were; the love magic associated with a courting flute, and how to make her own flute. You see, either a young man came to the flute maker to learn how to make his own flute, or he came to the flute maker to have a flute made for him. This helped Manomin because she saw all the young men who visited her father. But this was not all, for in this family, (and so in most of this village) a flute was traditionally as long as the forearm of its maker–from elbow to the longest fingertip. There was a hand’s breadth of space between the mouthpiece and the fetish, another between the fetish and the first finger hole, and still another between the last finger hole and the bottom. The bore was as large as the dominant forefinger of it’s owner and there was a thumb’s breadth between each of the six finger holes. So, if the owner of the flute was a tall young man with big hands, his flute would be long, with a large bore and so would have a low tone. If the young man was short and had little hands, his flute would be short with a small bore and thus would have a higher tone. Knowing this, Manomin could generally figure out who played what flute. In either case, the young man came to the flute maker to learn how to play his flute. For her father had to learn how to play his flute well in order to woo and win over his wife, and for a fee or trade he passed this knowledge on to his proteges. Now, here’s the rub. You see, while each young man was given the basics on how to play a flute well. They all had to practice their flute in private, either deep in the woods, or at their own lodges, which were far away. Not only that, but they also had to create their own songs, becoming one with their own flutes during the process, so Manomin could not know exactly what songs came from who. Now, having this knowledge was compounded by another factor. There was love jē´bĭk, or magic, that could be associated with a courting flute. If a young man wanted to entrance the young woman with his courting flute playing he had to get a personal item or piece of hair from his intended and incorporate it into the decoration of that flute. This was how he would hopefully “seal the deal”. Knowing this, and knowing that her father wasn’t above trying to “stack the deck” for the young man of his choice, Manomin was very careful to keep all of her personal possessions hidden away in her Mă·kăk´, which was a birch bark container that is square on the bottom and round on top, and routinely burned any strands of stray hair that ended up in her comb or brush. Finally, knowing how to make a courting flute was knowledge that Manomin kept up her sleeve for later. As things go, the courting started in earnest that spring. It was late enough so that there were leaves on the trees and grass on the ground, but early enough that the mosquitoes and biting flies had not come out yet. It was still cool enough that Manomin would sit by the fire just outside the lodge by a large pile of river pebbles she had gathered over the previous months for that very purpose. These stones were large enough that she could throw them a great distance but small enough that if you were beaned with one it would hurt, but not knock you out. There were many suitors. Some played so softly and tenuously that she could barely hear them. Manomin figured that she needed someone who played boldly to reflect their bold spirit. So she threw stones at them and they disappeared. Sometimes she heard rustling in the bushes as if someone were fighting and she would call out and throw stones, letting them know that if they did not let each other play that she would have none of them. So it was by the agreement of the suitors that each one played on a different night until all had a chance. They would play until Manomin got tired of listening and went inside the lodge or until she threw stones and chased them away. Some of the songs were unoriginal, like “Mary Had a Little Lamb”. That got the stones. Some of the songs were painful. Their notes too high. Manomin figured that if she didn’t like the songs, that she wouldn’t like the young man who wrote them. Stones, stones, stones. They were the recipients of stones as well. Some of the songs were repetitive. Manomin did not want to have a boring relationship so those young men were stoned. The songs that she liked the most were those that incorporated the sounds of her favorite courting bird, the Mahng or loon, and the various woodpeckers. The combination of tremolo in them was either from the player being nervous which she didn’t mind at all because it made her realize she had power to make that young man nervous, or because he was accomplished enough to deliberately incorporate that quality into his song. She also realized that having such a skill might translate into other areas as well. There were a few flutists whose songs made the hair on the back of her neck stand up, they were so thrilling! The young men were also tenacious enough that they came back night after night. They would play one song that identified them and then they would play the new songs they had made up over the past few days. This lasted until near the end of the Fall when Manomin decided to do something totally unexpected. She pulled a flute she had secretly made out of her sleeve! Whenever one of the young men who were left tried to play their songs she would play hers. One of the young men tried to drown her out. She was sad to have to throw stones at him because his songs were so beautiful and sad that they made her weep, but she knew that if he was not smart enough to figure out that she mattered in this way that he would not treat her equally later. Her playing initially silenced the remaining flute players until only one was left. He came every night and announced his presence with a short song, but Manomin started playing immediately after that. When there was a break in her song, the young man would play counterpoint. When it was possible, and their flutes were in tune –which was very difficult because the notes of Anishinabeg flutes were not tuned to scale as the Europeans do, but were made to the measurements of the user, the young man would play harmony to her melody. This went on four nights with their songs becoming increasingly complicated and intertwined. On the last night, Manomin gave her final test. She ad-libbed! And the young man, well knowing how she played by this time ad-libbed right along with her. The result was a musical synergy that each could not have developed without the other. It was on that night, just before the first snow fell, that Manomin invited the young man who would become her husband, in to meet her parents. Oh, you ask, what is the council of the maji manidoog? Up to this point, I have been mentioning what Maji Manidoo has been saying in the council, but perhaps I have been getting ahead of myself. Ezigaa¹, Oojii², Zagime³, Aakoziwi-manidozhens4, Ishkodewaaboo5, Asemaa6, Maji-mashkiki7, and Bishigwadis8. Keep in mind, that while each may have been named for a different thing, they were spirits just like you and me, and just like you and me, many had the same name as the others. Each had their own specialty to offer, and they often worked together to torment the Anishinabeg in creatively fiendish ways. The morning of their first day together, Pele’ and Nanabozhu were slumming with the mortals on their tour of the Big Island. 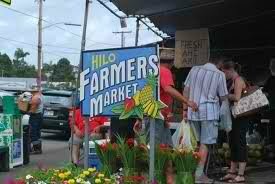 They happened to run into Pele’s brother Maui at the Hilo Farmers Market. Nanabozhu had to smile and knew he had met a kindred manidoo when he shook Maui’s hand in greeting and received an electric jolt! The sound of the “Super Joy Buzzer” going off in Maui’s hand accompanied it. The wicked grins the two gave each other as Nanabozhu quickly recovered from this small practical joke were reminiscent of those found on two wolves that had just happened to chance upon an unsuspecting chicken in an isolated barnyard. Pele’ rolled her eyes at Maui. “Here we go again.” she said. What’s the first thing that happens when two tricksters get together? A competition! You didn’t need to hear them say that it was on, to see which one could out-trick the other before the day was done. So back and forth they went. The day’s round was decided in favor of Nanabozhu. He ended the evening with a prank that occurred after their swim, at the open air public showers on the beach. Since the ocean water was salty, you felt better after you rinsed off before you went home. Nanabozhu quickly rinsed himself off first. Maui was a little more persnickety and habitually used his patented “Maui’s Wowie Shampoo and Conditioner”. Maui lathered his hair up and proceeded to rinse out the shampoo. Just when he was about done, Nanabozhu picked up the shampoo from where Maui had set it down and squirted another dollop on top of Maui’s hair. Maui could not feel the addition because of the pressure of the water already sluicing down on his noggin. Of course, the combination of the shower water and Maui’s rinsing action lathered Maui’s hair up again. With eyes closed to keep the shampoo from irritating, Maui could not see what was going on. Maui could only tell by feel that he still had shampoo in his hair. So he continued to try to rinse it out. Now, the grinning Nanabozhu was amused to see that he had gotten away with this once and decided to see how many times he could get away with it again. Therefore, just when Maui was almost done, Nanabozhu would add another dollop. Unsuspecting Maui would obligingly lather up again. Three, four, five times! Nanabozhu, who realized the need to be stealthy, was silently laughing so hard that his shoulders shook and tears came out of his eyes. 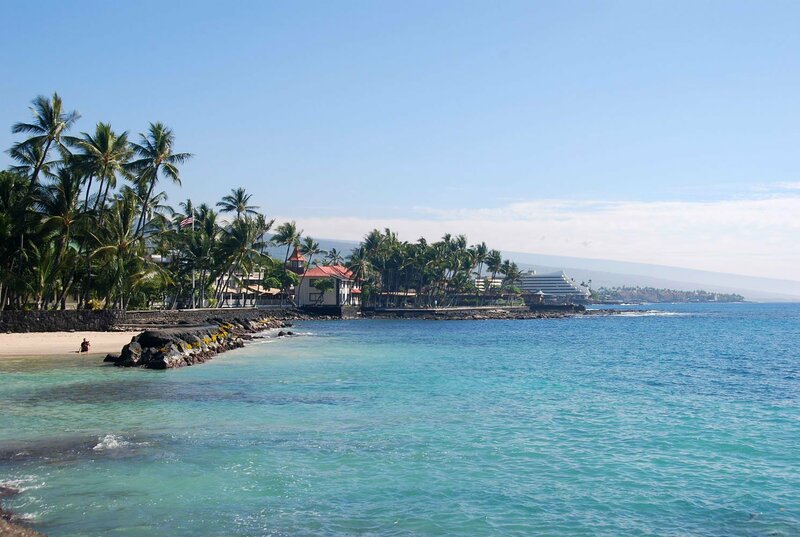 Rinse, lather…rinse, lather…rinse, lather, Maui! Six, seven, eight! By the end, Nanabozhu’s wheezing snickers were covered by sound of the shower. He was laughing so hard and trying not to make any noise that he had fallen down, was holding his stomach and rolling around on the sand while Maui–blissfully ignorant–rinsed the last of the shampoo out of his hair. “Boy, you sure do take a long time washing your hair!” Nanabozhu could barely get the words out straight as he jumped up and handed Maui a towel. Maui eyed Nanabozhu askance as he dried off. “You have the look of the cat that ate the canary”. Nanabozhu replied with an extremely innocent expression on his face. “Who me”? Final score: Nanabozhu 42, Maui 41. I mean that those other children who couldn’t sing could create the world exercising their words to shape it into wonders only their imaginations could realize. This is what was meant by singing for them. Thus all in all, the children would sing and create the world: colorful, fluid, rich, real, vibrant and fecund. Now, you would suppose that as they grew to adults they would retain this ability–and to a degree they would. However, adults tended to either concentrate on those laws of the universe that gave them order (which provided a certain degree of flexibility within them), or kept them safe within their diminishing physical capacity as they grew older, or they selectively chose only those things which supported their point of view, which left their world rigid and moribund. Not only that, but in general, older vocal chords lose their range and the ability to hit those really high notes, as well as get raspy with age. Therefore, it was important that the knowledgeable people in the tribe continually train the younger people how to sing in order to maintain a chorus which would create the world’s richness, complexity…and order. Now, maji manidoo and his mitsha manidoog desired that the children be miserable. Therefore, they designed a plan that was fiendishly simple in its conception. The mitsha manidoog realized that the People developed the need for glasses to see the world they had created because their eyesight dimmed as many of them grew older. In addition, they realized that as the People grew older they grew forgetful as well. So they whispered in the People’s ear that when they were not using them, that the People should put their glasses “out of the way” on top of their heads. This is what the People did; and because the People grew older and forgot where they put their glasses, they spent an inordinate amount of time searching for those glasses when they had them all along! Because they spent too much time searching for their glasses, the People began to neglect teaching their children how to sing. 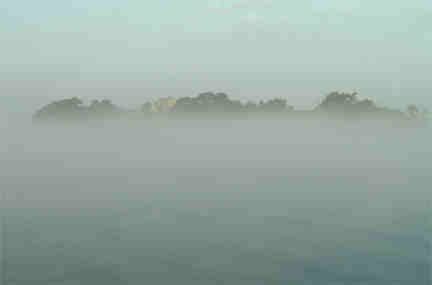 As one child here and one child there did not learn how to sing, a maji fog began to creep in. It would invade a home in a valley here, and a home on a lake there. Until, with the passage of time, it covered most of the land. Understand. There were still people who taught their children to sing, but they were only about five in every hundred. So while a few bright spots were still created in the world, this further obfuscated the People’s ability to see in a different way because maji manidoo could still use his lips to point to examples of how life was for everyone. Now this maji fog was the cold, grey, wet fog of fall. You know, that long sloppy time after all the leaves have fallen but just before the snow falls. A sight where you could not see the sun or moon, or tell where the sky ended and the land began. That dreary time that seems to last forever and you want the snow to come just so you can look at a picturesque world for a change. Because in general, most of the children were not taught to sing, this maji fog occluded their creation of their wonderful world. Oh, they could see things close to them as you would in the fog, and sometimes they would mumble enough so there would be a break in the fog, just enough to give them a glimpse of what the world could be like, just enough to keep them going. However, on the other hand, in general their world was always dreary, stunted, and cloying. It became the only thing known to the children of the People. Sadly, in some cases those glimpses of the stunted world and the sight of the world immediately around them were not enough and a child would be found hanging lifeless in a closet. The amazing thing about this state of affairs was that it only took a few seasons to accomplish and lasted for countless more. Mitsha manidoo and the maji manidoog were happy because they had achieved the misery of the People. There is no happy ending to this tale; because it’s not done yet.